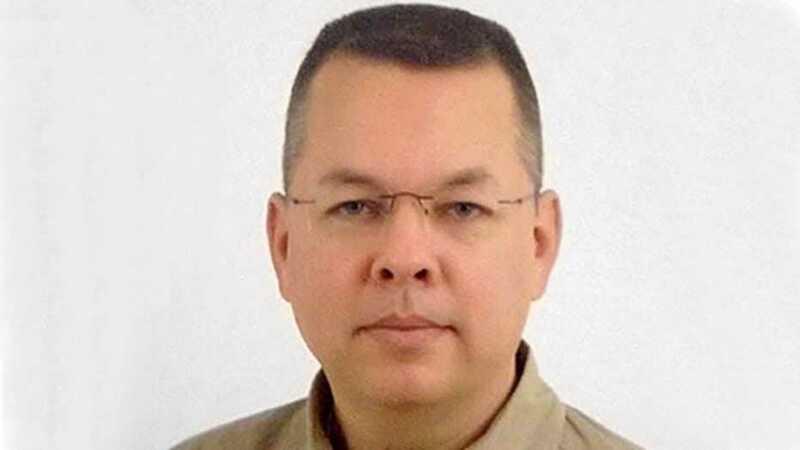 ANKARA, Turkey — An official indictment recently handed down against American pastor Andrew Brunson, who has been imprisoned in Turkey for the past two years, claims that the pastor used “Christianization” as a “mask” to engage in “unconventional warfare” against the government. The American Center for Law and Justice (ACLJ) outlines that Brunson, who has pastored Protestant Resurrection Church in Izmir for over 20 years, is being targeted because of his Christian faith, which is being misconstrued as a belief that President Erdogan is the antiChrist and that American Christians are “forerunners” in the battle of Armageddon. “The indictment against Pastor Andrew is a 62-page document which claims that his crime is ‘Christianization’ acting as ‘an agent of unconventional warfare’ under the ‘mask of an evangelical church pastor,'” attorney Cece Heil outlined in an update. As previously reported, Brunson and his wife, Norine, who are from Black Mountain, North Carolina, were detained in October 2016 after being accused of having “membership in an armed terrorist organization,” specifically, the military coup that attempted to overthrow the Turkish government that year. According to World Watch Monitor, Turkish authorities have detained and/or jailed thousands in their efforts to find those behind the failed coup. While Brunson’s wife was released 12 days after being taken into custody, in December, Brunson was escorted into court, being told that a “secret informant” had accused him of involvement in terrorism. He was then imprisoned and has reportedly had little connection with the outside world ever since. In September, Brunson was informed via a video conference with a Turkish judge that additional charges had been filed, including espionage, acquiring secret political and military information, seeking to overthrow the Turkish parliament and attempting to change the constitutional order. Brunson said that he was innocent and asked that proof be provided. He stated that he has been in Turkey for over two decades to simply tell the people about Jesus and has nothing to hide. The official indictment now claims that Brunson used Christianity as a creative means to work against the Turkish government. “Incredibly, the indictment now admits that Turkey considers ‘Christianization’ to be an act of terrorism,” Heil lamented. Brunson’s trial begins on April 16, and both President Trump and Vice President Pence have requested his release. In February 2017, nearly 80 members of U.S. Congress signed a letter to President Erdoğan expressing doubt over the charges filed against the pastor.